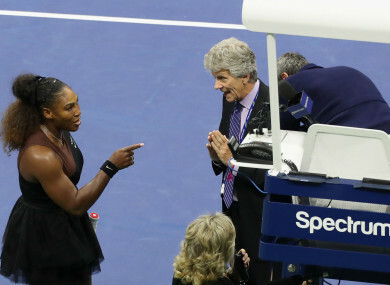 Serena Williams argues with US Open officials. Email “Serena Williams row wouldn't happen at Wimbledon, insists chairman”. Feedback on “Serena Williams row wouldn't happen at Wimbledon, insists chairman”.